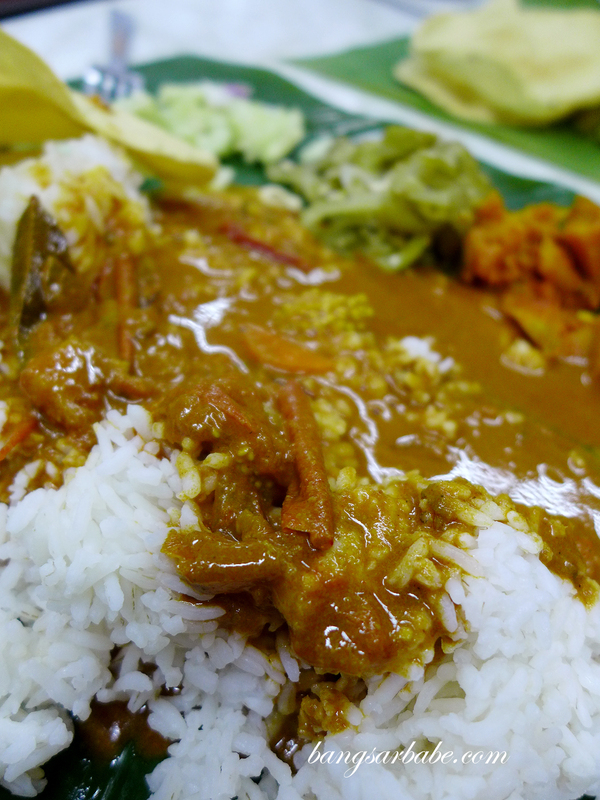 There’s something about banana leaf rice that makes it so appealing to many – mounds of parboiled rice on banana leaf, drenched with tasty curries and served with an assortment of vegetables. 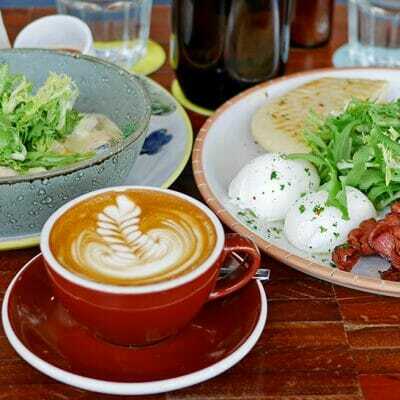 It is comfort meal at best and when you find a good one, you’ll keep going back for more. 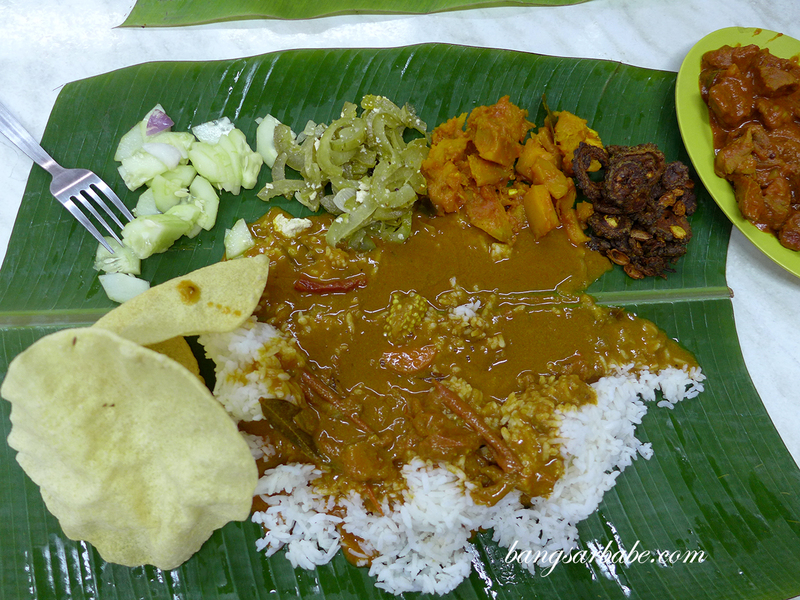 It’s the case with me as I keep going back to my regular banana leaf spot for the Kerala fish curry and crab curry. 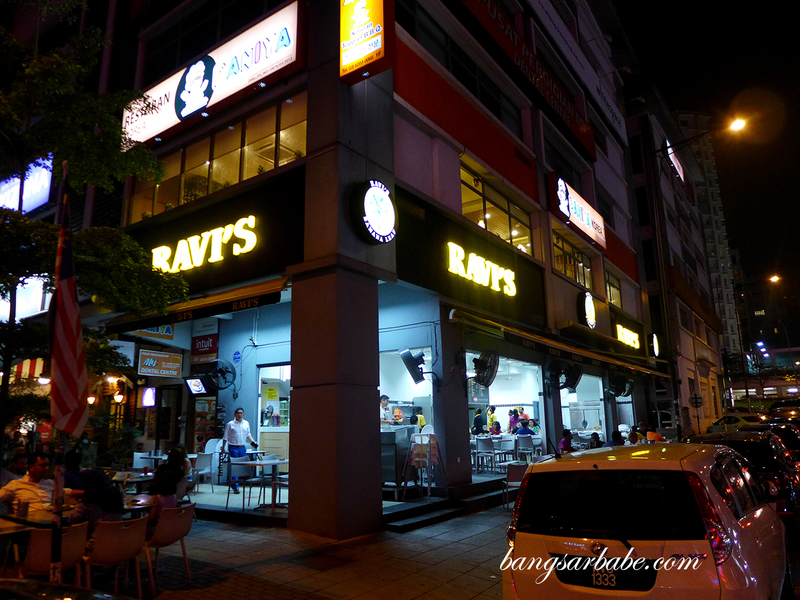 A colleague of rif’s recommended Ravi’s Banana Leaf in Solaris Mont Kiara, the odd banana leaf rice shop among a bevy of Korean restaurants in the area. 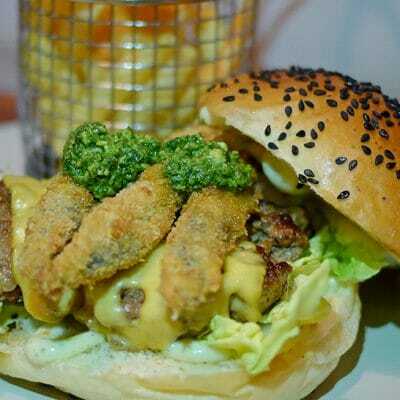 The staff are friendly and service is prompt, we were seated and served within 5 minutes. 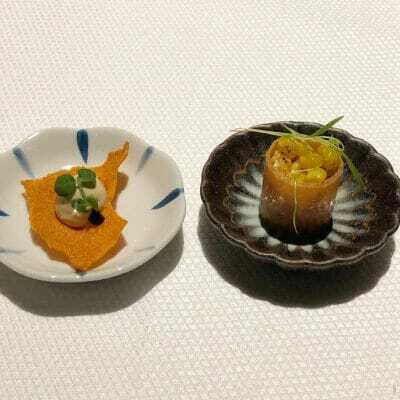 The rice came with four vegetarian side dishes, which we complemented with an order of mutton varuval and deep fried squid. Ravi’s only offer three choices of curries – dhal, chicken and fish. Nothing to shout about but they weren’t too bad. 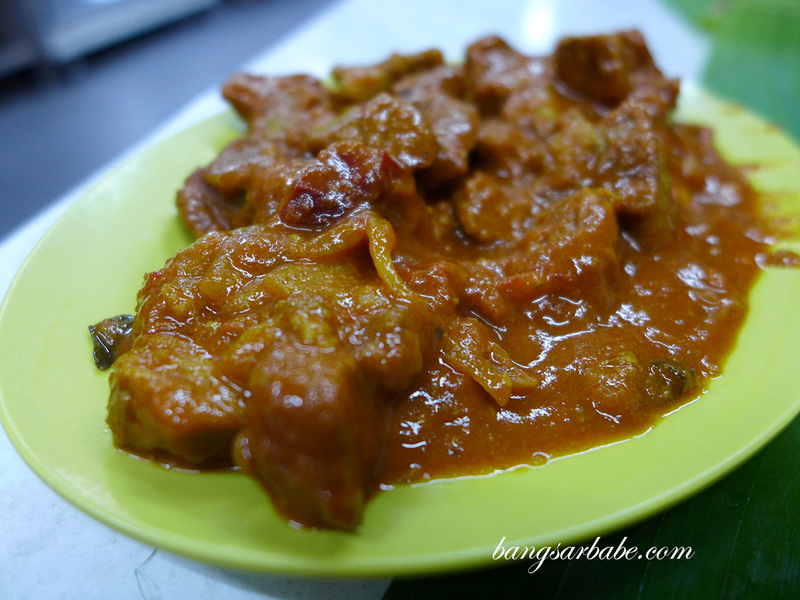 The mutton varuval was good stuff, featuring tender chunks of lamb in a spicy, thick and aromatic gravy. 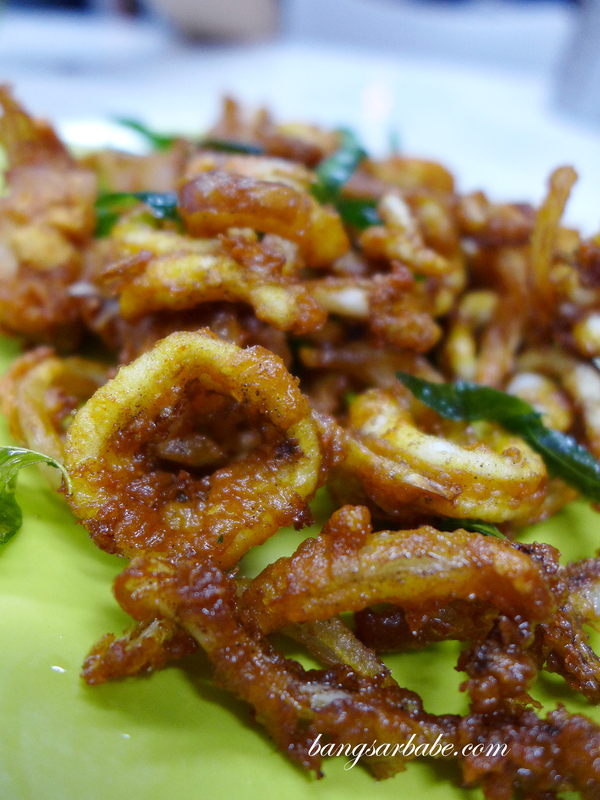 Also good was the fried squid. 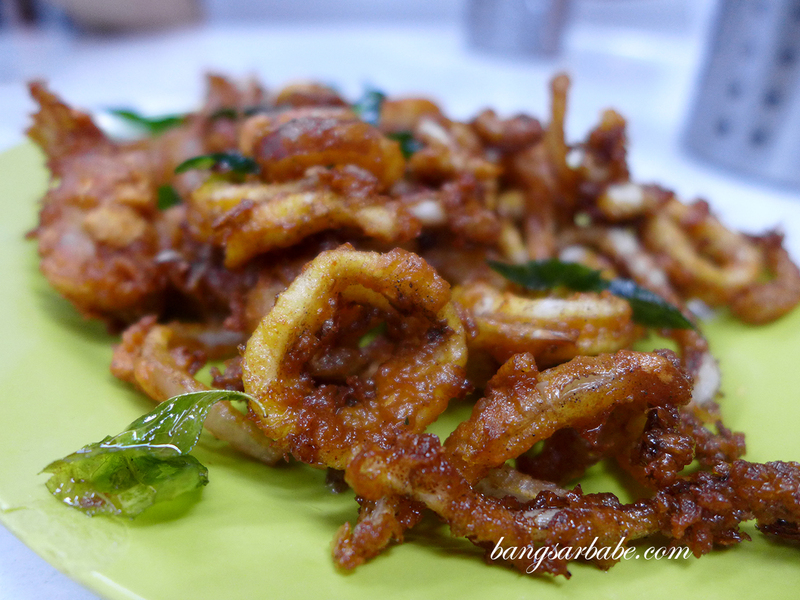 The batter was light, crisp and terrifically flavoured to complement the tender rings of squid. 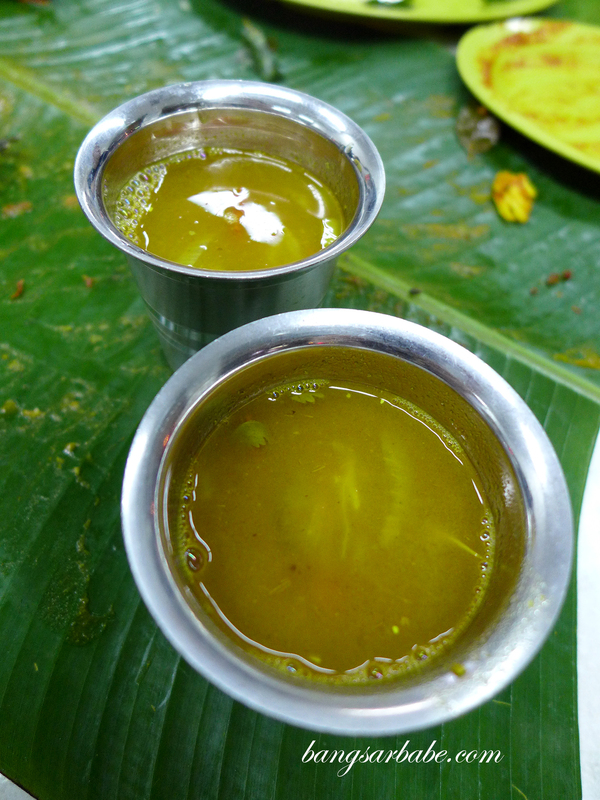 Ravi’s claim that they use no MSG in the food and it was quite true – I didn’t feel thirsty after my meal. Verdict: The curries were nothing to shout about but they do a good mutton varuval. No MSG too, so that’s a plus point. 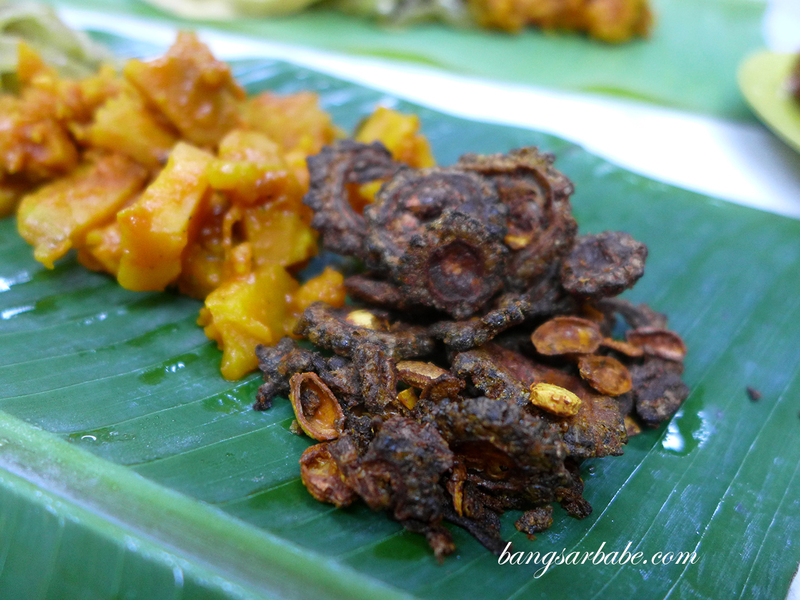 If you haven’t yet, do try Visalatchi Food Catering or Vishal’s Food & Catering at Jalan Scott, Brickfields. 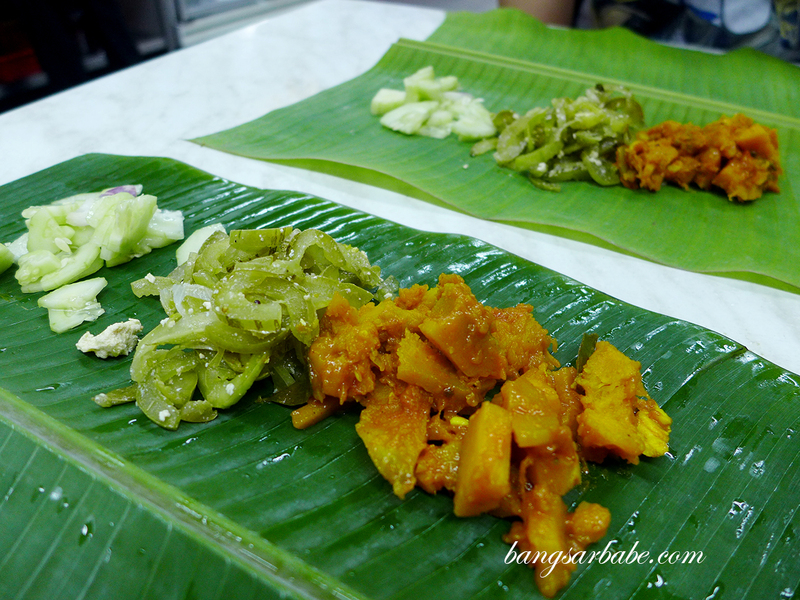 Touted by so many as the holy grail of KL based banana leaf though in my opinion after many visits to both restaurants, just so-so 🙂 Would be quite interested to hear your take on either or both ! Cheers.